Author Deborah Lee Luskin was made to consider this question last year, just after the publication of her award-winning novel Into the Wilderness. I found this story shocking, which probably only proves that I'm naïve. As soon as he mentioned my book, he had my attention. He was scouting for authors to appear on a segment of a nationally televised show for women, which airs for an hour every morning on both coasts. Had I heard of The Balancing Act? Had I heard of the Lifetime Television Network? This is when I wonder if it’s wise to confess I don’t own a TV. I keep it simple. “No,” I say. He tells me about the show. He says he’s looked at my website and can tell I have “presence” and would probably make a great guest. I’m flattered. I’m thinking this is the lucky break I’ve been waiting for. I start telling him about my experience as a public speaker while computing the equation of five minutes on television into book sales. I’m eager to sign on until he names the show’s corporate sponsors. “Are you saying that I’d have to endorse your sponsors’ products?” I ask. “Oh, no!” he assures me. And then he launches into production costs, which run into the hundreds of thousands of dollars for the five-minute segment. This doesn’t surprise me, but I’m wondering why he’s telling me all this, when I hear something about a $4,900 fee. “Who pays the $4,900?” I ask. “It’s a preproduction fee,” he says with slimy evasion. “With the high cost of production, we’ve had some guests not show up.” Despite the great gaps in logic, I understood all I need: the network wants me to pay to appear on their show. With unaccustomed grace, I say I’ll think about it and hang up. I momentarily bask in the knowledge that my obsessive, one-woman marketing efforts have penetrated this level of corporate broadcasting. But as the flattery fades, I confront this sobering fact: By charging its guests, the show is no more than a paid advertisement – except that the audience doesn’t know that the “guests” are really just elite advertisers, and not newsmakers at all. And the target audience of this show – women aged 19 to 54 – women who are indeed performing that hectic balancing act of mating, mothering and supporting their families – most probably have no idea that they’re being scammed. I email the man my regrets, telling him $4,900 is simply beyond my budget, which is partly the truth. It is also true that I find this kind of broadcasting unethical, but I don’t tell him that. Instead, I’m left to wonder what I would have done if the fee had been $100? I’d like to think my principles would trump my obsession with making Into the Wilderness required reading from coast to coast. 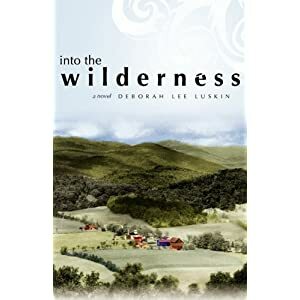 Deborah Lee Luskin is the author of the Into the Wilderness (White River Press). 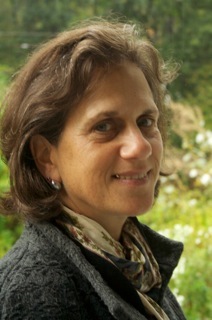 She holds a PhD from Columbia University, is a Visiting Scholar for the Vermont Humanities Council, and a regular commentator for Vermont Public Radio. Slimiest of the grossest, Deborah, am sorry upon sorry you had to go through this experience, fingers crossed the publicity gods will get you onto some great televised couches in the near future and that $4900 can stay safely in your bank account.